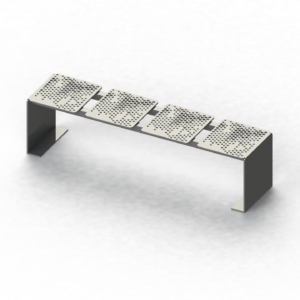 As part of the Urban furniture range, we love designing and manufacturing Architectural Steel Stools, chairs & seating. All of the designs are owned and created by Urban Metalwork and available only exclusively through our studio. Our entire current and expanding range of Architecturally designed stools, chairs and seating are manufactured from start to finish in nothing but steel, which leaves you with a structurally sound and durable stool. The designs we have are simple, clean, timeless, modern and maintenance free. We commonly fabricate our stools purely from steel, however we do custom fabricate them also using metals such as Aluminium, Stainless Steel, Copper, Brass and more. Depending on the base metal we use, we have a wide range of choices for colours and finishing options, which include Powdercoating, Anodising, Painting, Hand Patination and more. 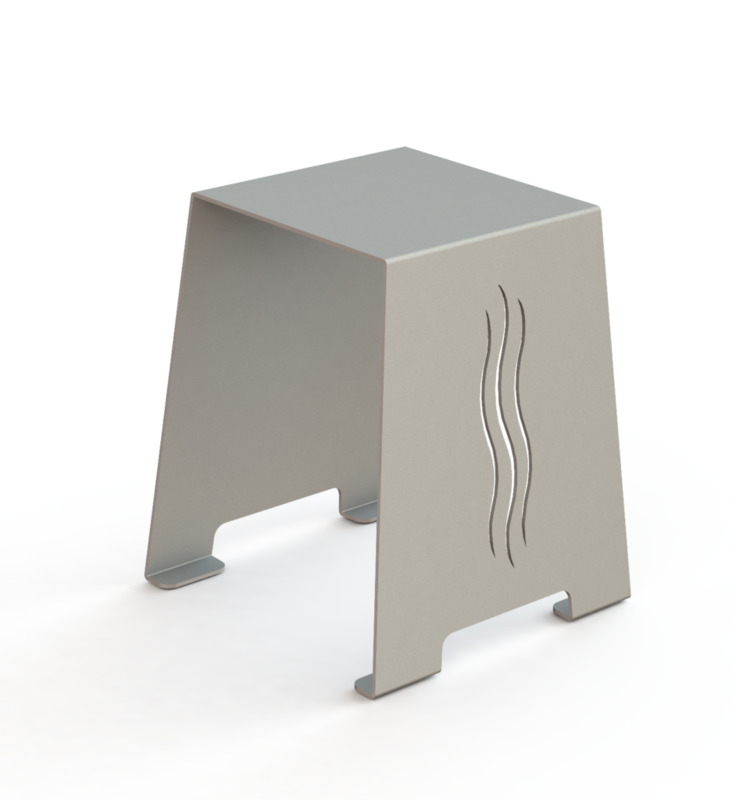 All of our stools are generally suited to both indoor and outdoor use, but where harsh environments may be present, Urban Metalwork have additional processes we can include during the fabrication and finishing which will enhance the integrity of the product and ensure a much longer life expectancy in every stool. As all of our stools are hand crafted from start to finish in our factory in Geelong, we have the flexibility of altering the stools and customising them for each individual person, company and project. Customisation of the stools includes, overall size, base metal we use, finishing schedule, the profiled pattern we have cut into the stool, mounting plates and more. For further information on our range of stools, please scroll down below or contact us for any further information. Our Essential Coded Stool is the ideal choice for functionality, style and durability. Fabricated by hand, locally, made from high quality, 5mm thick steel framework, the Essential Coded design Stool is suitable for use both indoor and outdoor. Available in a wide range of finishes, we can paint and powdercoat to any colour of your choice. For outdoor use, Urban also apply a primer and non-rust protective coating prior to powdercoating. For those looking for something a little lighter to move around, the Essential Coded design Stool is also available in an Aluminium lightweight frame, or Stainless Steel for a higher quality finish. The top seats of our Essential Stools are able to be fully customised and cut with your choice of pattern. You have the choice to pick one of our standard patterns for the Stool top, you can provide us with your own DXF/DWG file which we can apply to the Stool top, or we can offer you a completely new customised design, specifically for you, something unique and personal. For CAD & Fabrication files, please contact us via email at info@urbanmetalwork.com.au or through the “Contact” page on the website. Our Slight Stool has been designed, based around something that is light, stylish, functional and has a modern architectural appeal to it. Fabricated by hand, locally, made from high quality, 6mm thick steel framework, the Slight Stool is suitable for use both indoor and outdoor. 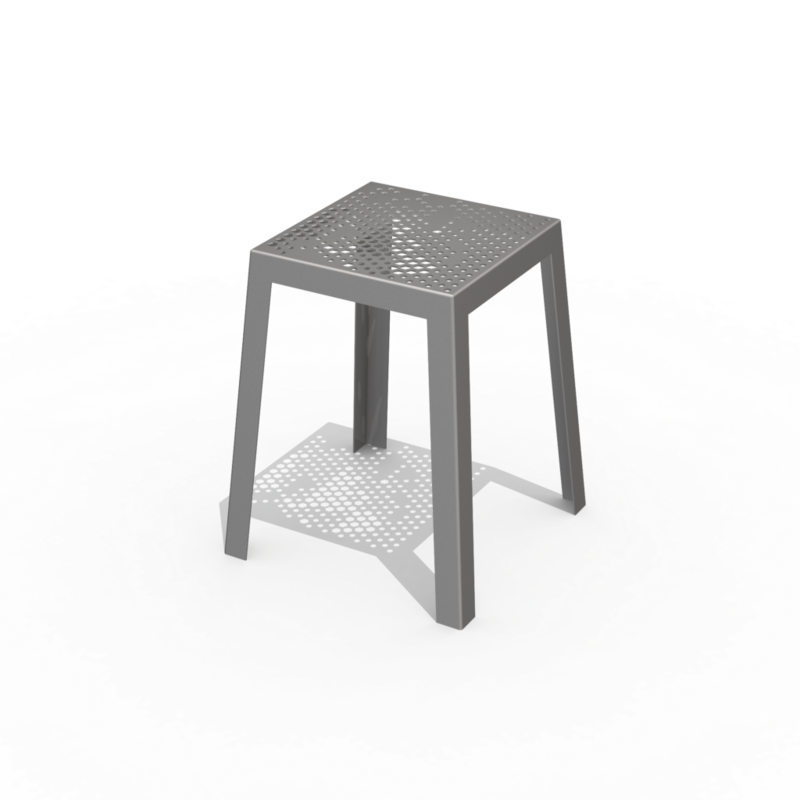 For those looking for something a little lighter to move around, the Slight Stool is also available in lightweight Aluminium, or Stainless Steel for a higher quality finish. The sides and tops of our Slight Stools are able to be fully customised and cut with your choice of pattern, or no pattern. 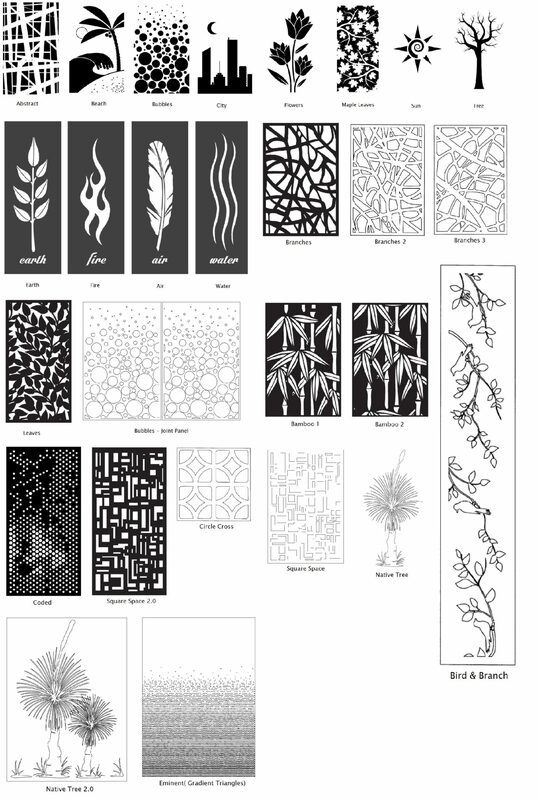 You have the option to pick one of our standard patterns, you can provide us with your own DXF/DWG file which we can apply to the Stool, or we can offer you a completely new customised design, specifically for you, something unique and personal.